This triangle worksheet is perfect for helping kids learn their shapes. 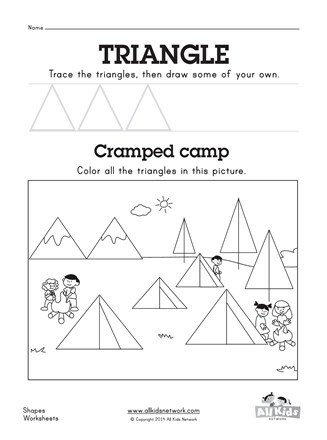 Children get to trace a few triangles, then draw a few on their own. 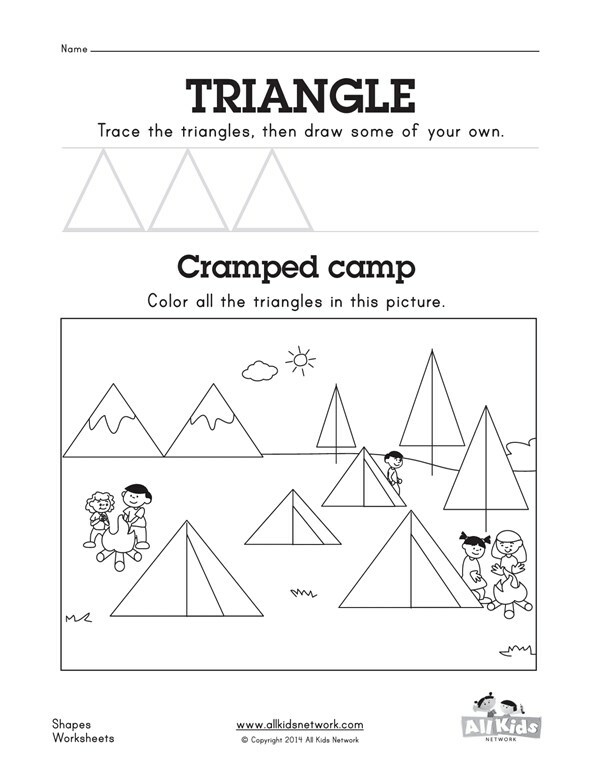 Then they are asked to find and color all the triangles in the fun picture of people camping with their tents that are triangle shaped.